'soft magic.' is the debut collection of prose and poetry by Malawian writer, Upile Chisala. This book explores the self, joy, blackness, gender, matters of the heart, the experience of Diaspora, spirituality and most of all, how we survive. 'soft magic.' is a shared healing journey. 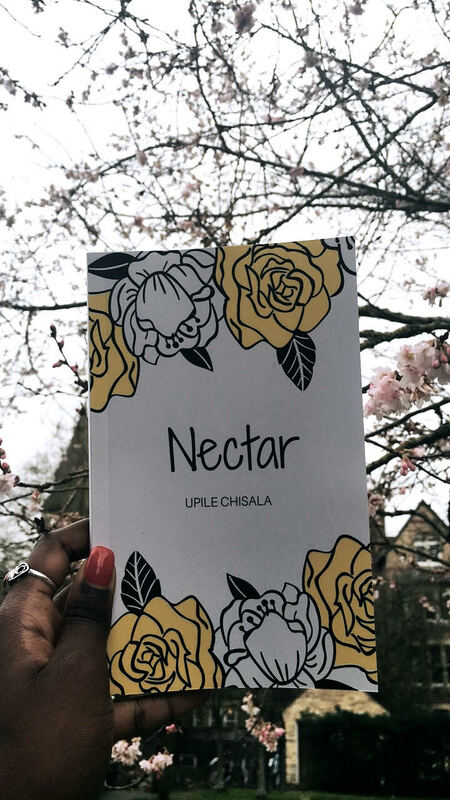 Nectar is the second collection of poetry and prose by Malawian storyteller Upile Chisala. In this book, Upile guides through a beautiful process of blooming starting with some poems on self love then words on our roots followed by acknowledging all the fruit of these experiences. The storyteller's hope is that these poems on growth encourage the reader to sow and to make changes in the lives of others. Born in 1994 and raised in Zomba, Upile's hope is to tell stories from the margins and through her work help others and herself come to terms with pasts, celebrate presents and confidently dream beautiful futures.